Glenmoriston Town House Inverness, Scotland. 20 Ness Bank, Inverness, Inverness-Shire. 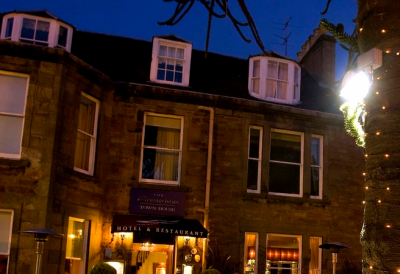 This famed Inverness hotel is set in a tree-lined river bank terrace in the city centre and only 20 minutes from the Loch Ness, The Glenmoriston Town House Inverness is a luxury boutique hotel with that little bit more. One of the most respected of Inverness's hotels has an enviable reputation for service and style, with 30 stunning bedrooms, brasserie, cocktail and whisky bar and fine dining restaurant. There is only one Glenmoriston Town House for escapes, weddings, dining and luxury. Inverness is the perfect gateway to the highlands and offers an array of fabulous shopping whilst enjoying the true Scottish hospitality of The Glenmoriston Town House.